Every year a small group known as the Souvenir Building Collectors Society descends upon a city of their choosing to hold their annual convention. This year’s destination is our nation’s capitol, Washington D.C. The SBCS was formed in 1994 and membership includes a newsletter published three times a year and exclusive invitation to members only events. 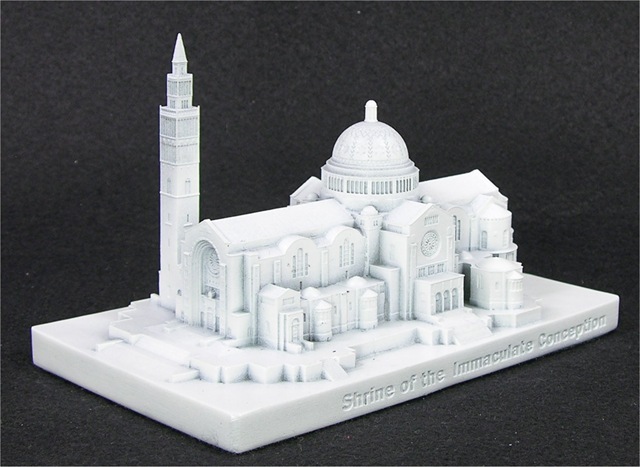 The SBCS convention is always a great time for us here at InFocusTech and also an opportunity to showcase some of the landmarks of the city we’re about to visit. 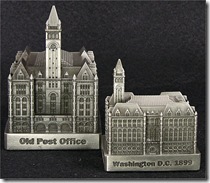 For more on Washington D.C. souvenirs check out our fellow member Dave’s blog, the Building Collector. This 555-foot obelisk is an iconic landmark for the entire United States and once stood as the tallest man-made structure in the world. The Monument was built in 1884 and held the world’s tallest title for five years until the Eiffel Tower was completed. 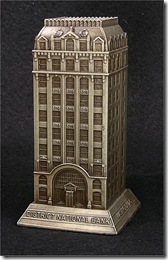 This replica stands a little less than 6 inches tall. 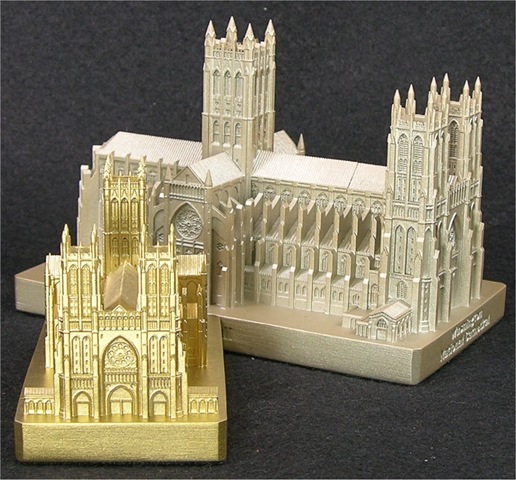 The National Cathedral stands 301’ tall and is currently the second largest cathedral in the country and sixth in the world. Building started in 1907 and was finally completed in 1990. 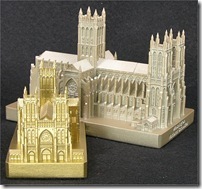 This neo-gothic cathedral also features many gargoyles but one that is very strange and unique for a church, a gargoyle of Darth Vader of Star Wars fame. This replica is featured in 100-foot and 150-foot scales. 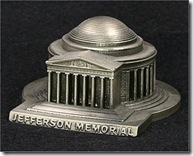 The Jefferson Memorial began construction in 1939 and was completed in 1943. Some of the key features to the Memorial are the bronze statue of Thomas Jefferson, which was added in 1947, as well as the forest of cherry trees surrounding it. 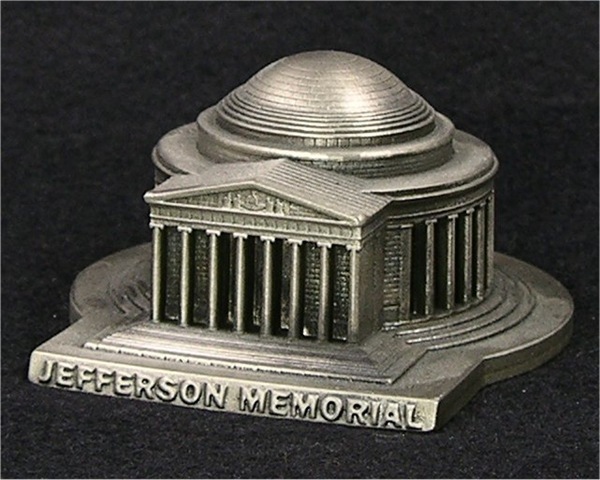 The replica is 1-5/8 inches tall and 3-1/4 inches deep. 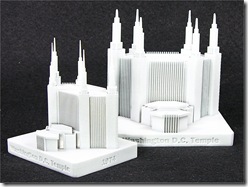 The National Shrine is the third largest church in the United States and eighth largest in the world. It is also the tallest building in D.C. behind the Washington Monument standing 329 feet tall. This replica is featured in 100-foot scale. 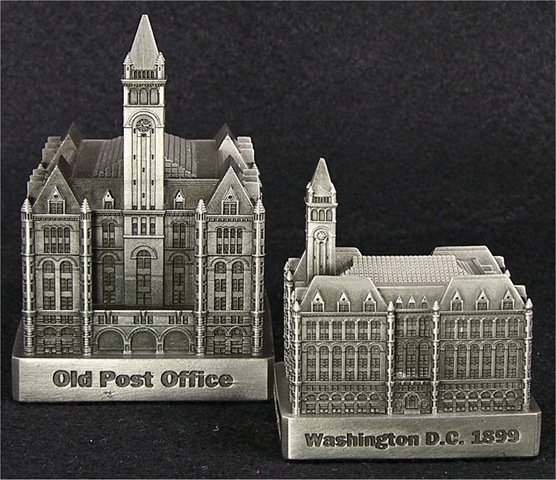 The Old Post Office is the third tallest structure in D.C. standing at 315 feet tall. This national landmark was almost demolished in 1971, but Nancy Hanks as well as the locals convinced Congress to reverse their decision and eventually the Old Post was added to the National Register of Historic Places. This replica is featured in 100-foot and 150-foot scales. 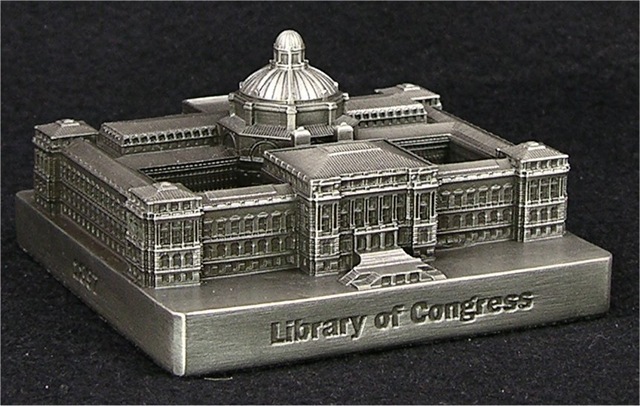 The Thomas Jefferson Building was completed in 1897 and is the oldest of the three buildings that make up the Library of Congress. One of the key features to this building in the interior, which is made up of many fine American painters and sculptor’s best works. The replica measures 3-1/4 inches wide. 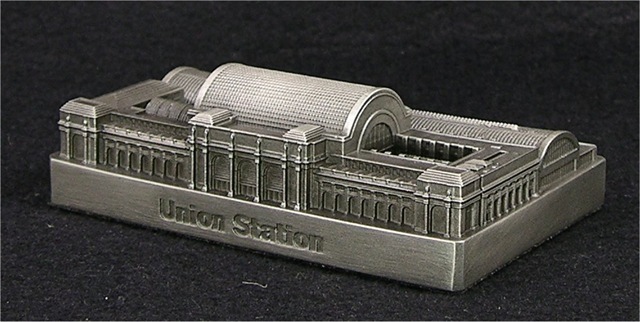 This beaux-arts train station was completed in 1907 and is one of the most visited sites in Washington D.C. Originally used only for train, it is now home to buses and subway trains. Union Station was once in danger of possibly collapsing but restorations and renovations saved the area favorite. This replica measures 3-13/16 inches wide. 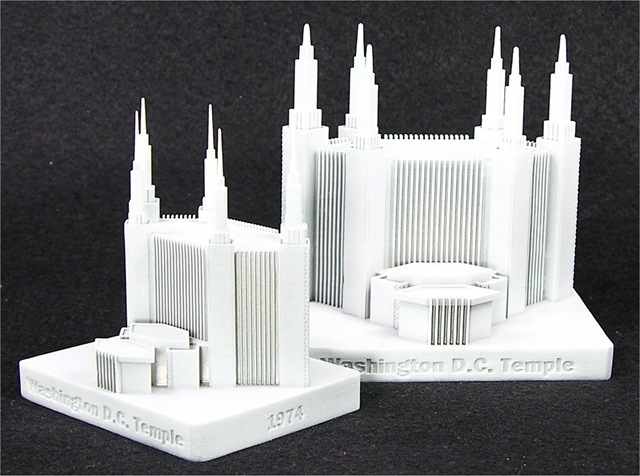 The Washington Temple was completed in 1974 and it features six spires with the tallest being 288 feet tall. This replica is featured in 100-foot and 75-foot scales.